The ZoneFlex R700 ensures the most reliable connectivity within challenging and ever-changing RF environments. With BeamFlex , the ZoneFlex R700 is capable of delivering 6 dB of signal-to-interference-plus-noise (SINR) improvement and up to 15 dB of interference mitigation over other APs. The ZoneFlex R700 simultaneously supports spatial multiplexing and BeamFlex to deliver the best price/performance of any three-stream 802.11ac AP. ZoneFlex R700 is purpose-built for high-capacity, high performance and interference-laden environments such as airports, public venues, hotels, universities and conference centers. The perfect choice for data-intensive streaming multimedia applications, the ZoneFlex R700 delivers picture perfect HD-quality IP video while supporting VoIP and data applications that have stringent quality of service requirements. In the world of wireless LANs (WLANs), power and simplicity are like oil and water - they’ve just never mixed - until now. The result? 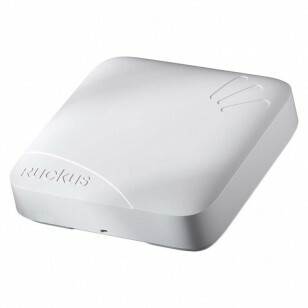 One of the best WLAN products and technology that money can buy. Environmental: Operating Temperature: 32°F (0°C) - 122°F (50°C), Operating Humidity: up to 95% non-condensing.